My favorite place to read is outside where I can hear my fountain. The sound of the water bubbling up and flowing over the sides is so relaxing and calming and I love it. LOVE the fountain captures. What a great idea! Yes..... I can actually hear the sound. Lovely and tranquil. Oh, I love that fountain - great background colour and excellent captures of drops! I want an ipad . . .
Good grief, those are gorgeous captures! The hubby and I just broke ground on a patio garden in our back yard...I think you just sold me on a fountain! I love your fountain shots! I love that sound - so relaxing and beautiful shots. I can almost hear it...beautiful shots! My favorite is your second photo. I love the peace it brings! Oh, I love those fountain pictures. And I bet Mason is enjoying that ipad too!! Too bad is warming up this weekend. I'm going to miss these gorgeous days. Beautifully captured Deb- If that was in my yard, I would find every excuse I could to go sit near it & just listen. Haha, that's why we haven't bought an iPad. It will become the kids' toy. As it is now, my husband's phone is forever hijacked by our kids so that they could play Angry Birds on it! I want an ipad! 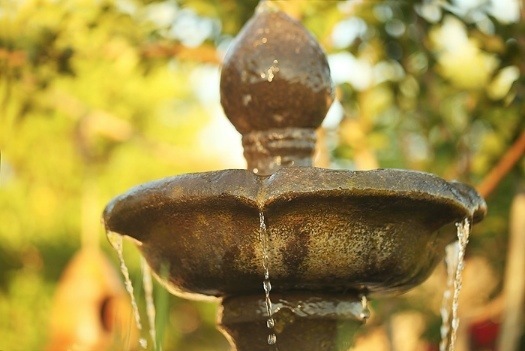 Love your fountain pics, beautiful lighting and so relaxing. I, too, love the soothing sounds of a fountain. Great shots! Fabulous shots! I also love the sound of water! These pics are just beautiful! I can almost hear the fountain. 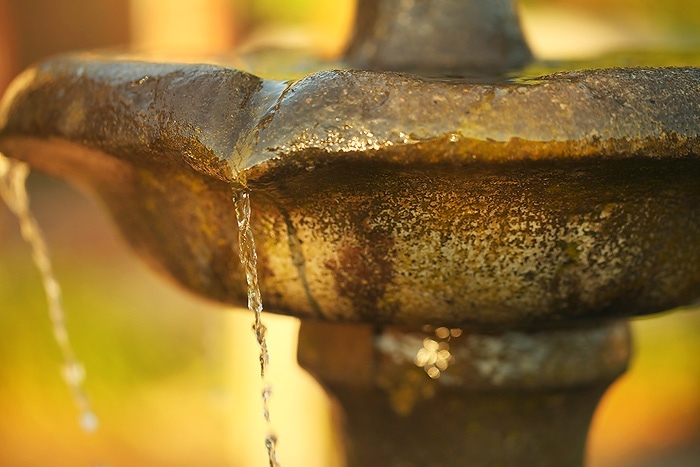 Beautiful coloring and dof in your fountain pictures. it looks and sounds like a perfect place to relax! That last fountain photo is fantastic. 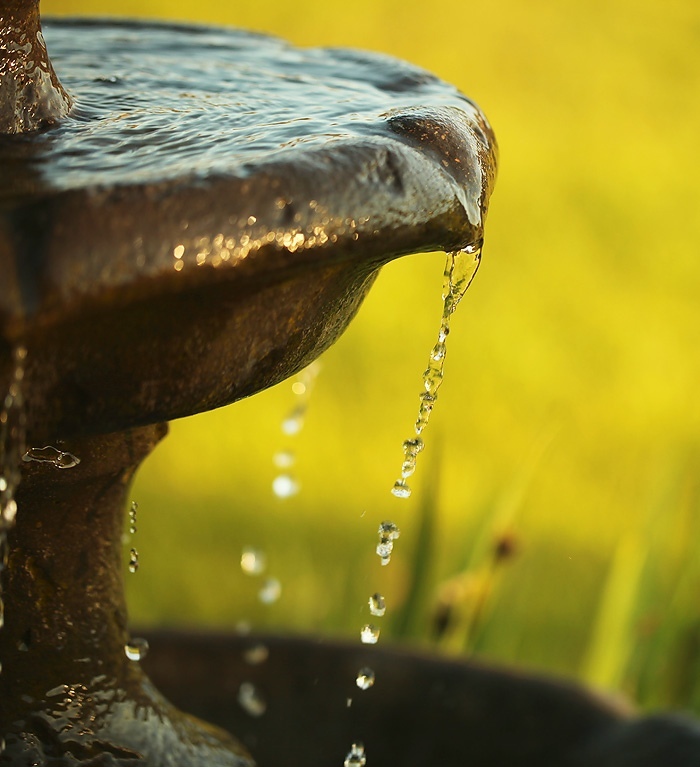 It's been raining here so much lately that we have continual fountains in our back yard! Happy Friday! wonderful shots and yes so relaxing. Those ipads are fun. Gorgeous photos! The light and the capture are fantastic! The kid swiping the iPad is less so, but you'll get it back. I've had mine almost a month and love it! Fabulous photos. I swear I can hear the fountain with the water falling!!! Thanks for stopping by and following. I am your newest follower(my little icon vanished so when I follow it is in the generic silhouette at the end of the list). Beautiful series, I love the softness of the tones and framing. Magic to our eyes. love these shots! One of my favorite things to do is fall to sleep with the windows open! we have a stream that runs behind our house and there is nothing like it! Wow, these are excellent! I LOVE the fountain shots!! Great photo of Mason, too! I love the sound of water falling...great photos. Hi Deb, You are a Top Three Winner! !